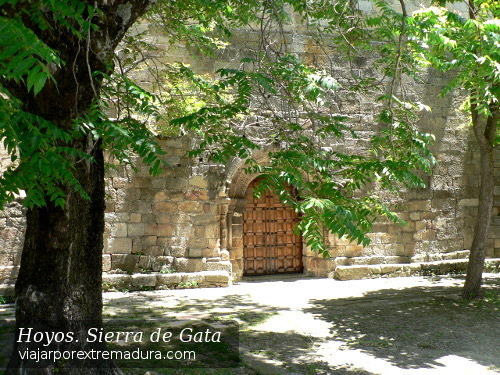 Sierra de Gata is one of those fabulous places full of incomparable corners that enriches those who go there. It is located in the border with Portugal, this situation increases its cultural legacy, a memorable magical touch to all the towns and villages of Sierra de Gata. We begin our trip from Moraleja, this town is a ‘natural door’ to the region. To get there we take Ex-109 road from Coria. In Moraleja the well-known Casa de la Encomienda stands out, the King Phillip the 5th in ohousene of his travels stayed there for some days. Here we are close to Borbollon reservoir where we may practice water sports such as the sail. It is a perfect place to practice birdwatching too. We are few kilometres away from Cilleros. Here, wincellars produce wines which lie for months in vaulted rooms. The Doce Apóstoles church stands out in this town of Sierra de Gata. Heading towards North we reach San Martin de Trevejo , one of the most well-known towns in the area. Its arcade square worths the visit, as well as going for a walk through the streets where regateras, a small guttering in the middle of the street, let water run away. 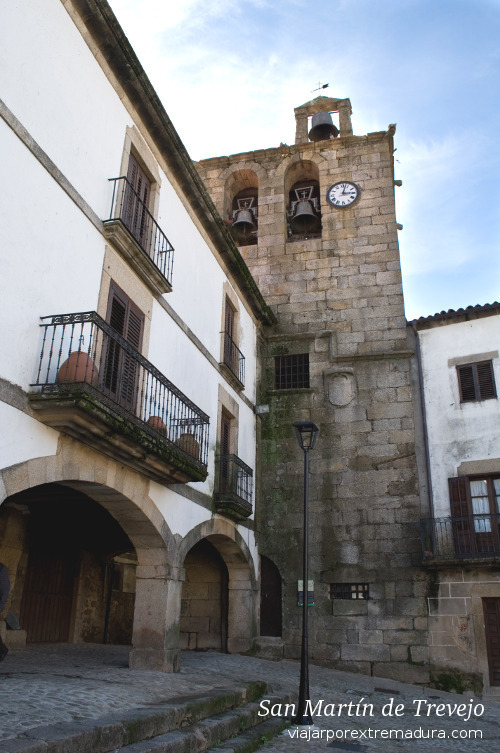 San Martin de Trevejo is one of the three towns where A Fala, a dialect which mixes Spanish and Galician up. Due to its border situation the towns of Eljas and Valverde del Fresno along with San Martin preserve an almost extinguished culture’s legacy. Moreover, there are associations which promote and try to make knonw this unique dialect considered as property of cultural interest. Acebo is a small town which preserves the art of bobbin lace. As far as popular architecture is concerned Ntra. Señora de los Angeles Church shows three architectural styles: Gothic, Mudejar and Renaissance. 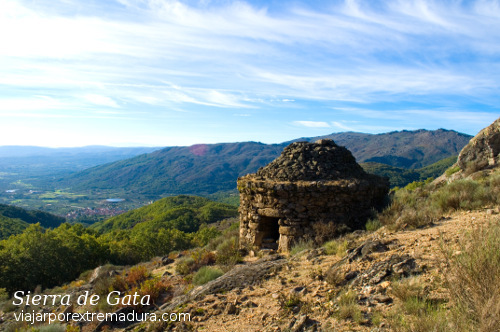 We are about to end this route through Sierra de Gata, however, we can not finished this trip without visiting Gata. The zone is thus called after this town. This charming area maintains the popular architectural made of stone and wood style of the zone. San Pedro’s Church and Chorro’s fountain stand out, the latter is adorned with Charles I Golden Flee. Likewise this town together with Robledillo de Gata have been declared historical-artistic ensembles. Robledillo de Gata is another well-knonw towns of the zone. The visitor will be captivated with its narrow alleys, popular streets and corners full of magic and beauty. This is a rich land based on natural resources, the landscapes are full of vineyards, oak groves, and olive trees which shows a splendid view at any time of the year. The olive trees’ cultivation is based on organic farming; for that reason the olive oil from this land is so unique that the Regional Goverment of Extremadura created a quality trademark named Gata-Hurdes, due to in both areas the olive oil shares the same characteristics. The Sistema Central is a mountain range which covers the centre of Spain, a part of it is located at the north of Sierra de Gata. Iberian lynx, gray wolf or wildcat are some of the species that live in the zone. Black storks, black vultures, or grey herons are examples of the wide variety of birds that fly over Sierra de Gata’s landscapes full of holm oaks and oaks. It is quite common to find typical huts, these are circular stone constructions where shepherds sheltered. 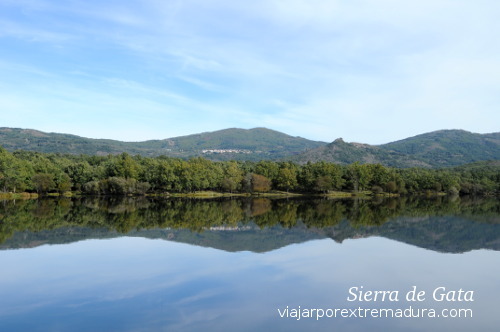 The area of Sierra de Gata invites to be visited on regular basis to note the changes Seasons make the landscapes over into a magical place. 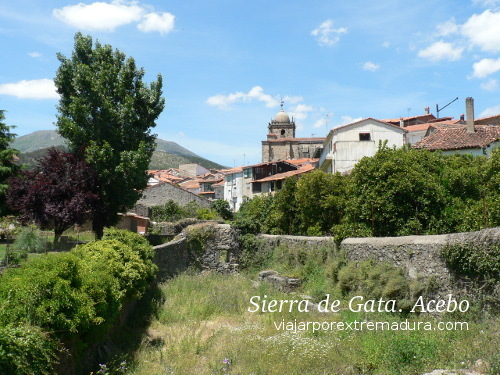 Where to stay to visit Sierra de Gata? You can stay in some ot those apartments and rural houses in the zone. If you want to relax in an modern hotel housed in an old 15th Century convent, the Hospederia Conventual Sierra de Gata is your choice.